Home > Activities > Entertainment > [SISTIC] Fall in love with Romeo and Juliet and experience the finest of Russian ballet this November! 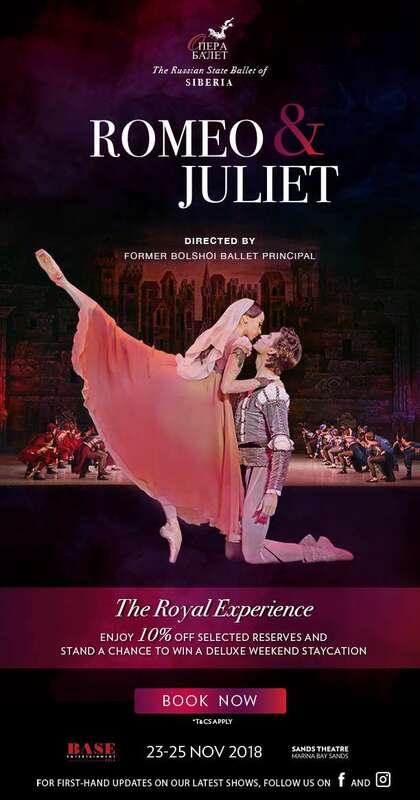 [SISTIC] Fall in love with Romeo and Juliet and experience the finest of Russian ballet this November! Stand to win a deluxe weekend staycation at Grand Mercure Roxy Singapore to complete your royal experience. Next: [StrawberryNet] Beauty Bargain Alert  Bestselling Sets Up to 78% Off!